Police hid me from Falana in toilet, Evans alleges – Royal Times of Nigeria. Lagos High Court in Igbosere at the weekend heard that the police hid suspected billionaire kidnap kingpin, Chukwudumeme Onwuamadike, alias Evans, from rights activist Mr Femi Falana SAN, in a toilet. Evans told Justice Adedayo Akintoye that the event occurred in the office of the Lagos Coordinator of the Inspector-General of Police (IGP) Response Team, Mr. Phillip, a Chief Superintendent (CSP), soon after his arrest in 2017. He alleged that the lawyer was contacted by his wife (Uchenna Precious Onwuamadike), shortly after his arrest. Evans said the police told Falana that they had taken the suspect out for investigation, but the lawyer suspected otherwise and warned the police to prosecute rather than execute him. Evans, in tears, made the claims while testifying in a trial within trial to determine whether his confessional statement to the police should be admitted by the court. 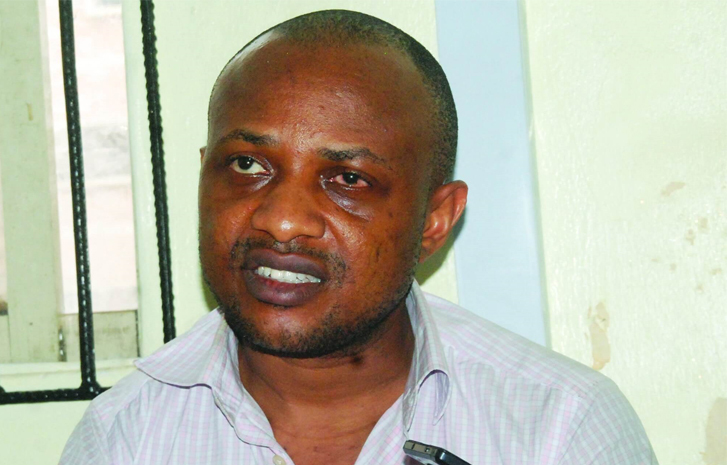 According to the Lagos State Government, which is prosecuting Evans on twin kidnapping, murder and attempted murder charges before the judge, the suspect’s statement was voluntarily made. According to Evans, Phillip told the lawyer that he had been taken out for investigation, but the SAN warned the police against summarily executing him. Its witness, Inspector Idowu Haruna, whose testimony preceded Evans’, told the judge that he took the suspect’s statement. Haruna, a member of the IGP Response Team which arrested Evans, said Evans never requested for a lawyer and none of his family was present when the confessional statement was made. He told the judge that he heard the lawyer and Phillip exchange pleasantries. The defendant repeated his claims under cross examination by prosecution counsel Mr. Y. G. Oshoala. 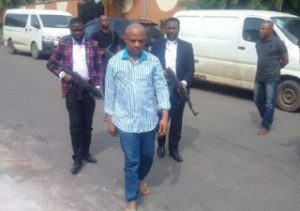 Evans’ testimony followed the continuation of proceedings in the fourth and fifth in a series of kidnap, murder and attempted murder charges brought against him by the Lagos State Government. But only two charges are before Justice Akintoye. Three others are before Justices Hakeem Oshodi and Oluwatoyin Taiwo of the Ikeja High Court. In the first charge before Justice Taiwo, Evans and three others – Joseph Emeka, Ugochukwu Nwachukwu and Victor Aduba – pleaded not guilty to a five-count charge of conspiracy to kidnap, kidnapping and attempted murder.